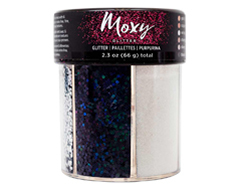 Purpurina de diferentes grosores y accesorios ideales para crear decoraciones de lo más brillantes. 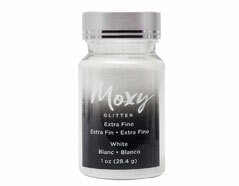 Perfecta para utilizarla con la técnica shaker. 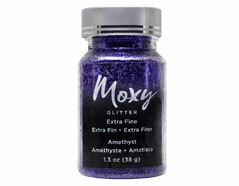 Purpurina Moxy Extra Fine Glitter Amethyst 28gr. 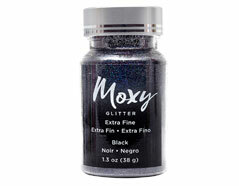 Purpurina Moxy Extra Fine Glitter Black 38gr. 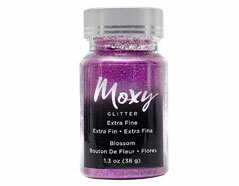 Purpurina Moxy Extra Fine Glitter Blossom 38gr. Purpurina Moxy Extra Fine Glitter Carrot 38gr. Purpurina Moxy Extra Fine Glitter Champagne 38gr. Purpurina Moxy Extra Fine Glitter Copper 38gr. 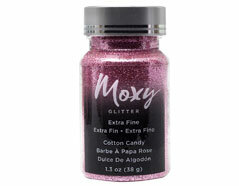 Purpurina Moxy Extra Fine Glitter Cotton Candy 38gr. 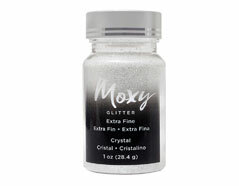 Purpurina Moxy Extra Fine Glitter Crystal 28,4gr. Purpurina Moxy Extra Fine Glitter Denim 38gr. Purpurina Moxy Extra Fine Glitter Gold 38gr. Purpurina Moxy Extra Fine Glitter Lagoon 38gr. 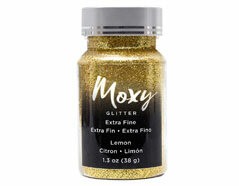 Purpurina Moxy Extra Fine Glitter Lemon 38gr. 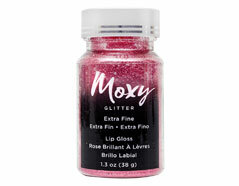 Purpurina Moxy Extra Fine Glitter Lip Gloss 38gr. Purpurina Moxy Extra Fine Glitter Marine 38gr. 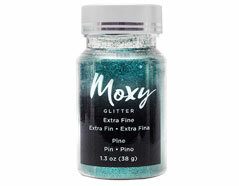 Purpurina Moxy Extra Fine Glitter Ocean 38gr. 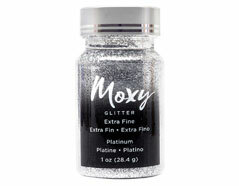 Purpurina Moxy Extra Fine Glitter Platinum 28,4gr. Purpurina Moxy Extra Fine Glitter Rouge 38gr. 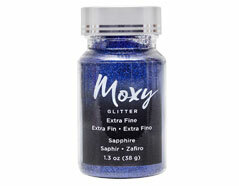 Purpurina Moxy Extra Fine Glitter Sapphire 38gr. Purpurina Moxy Extra Fine Glitter Silver 50gr. 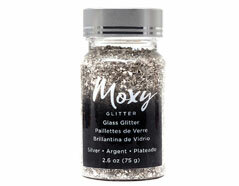 Purpurina Moxy Glass Glitter Silver 75gr. 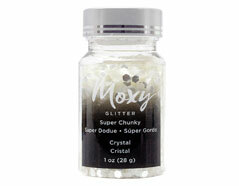 Purpurina Moxy Super Chunky Glitter Crystal 28gr. 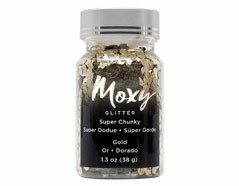 Purpurina Moxy Super Chunky Glitter Gold 38gr. 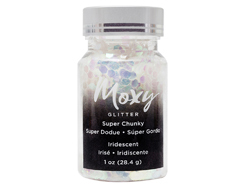 Purpurina Moxy Super Chunky Glitter Iridescent 28,4gr. 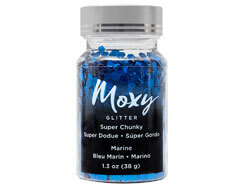 Purpurina Moxy Super Chunky Glitter Marine 38gr. 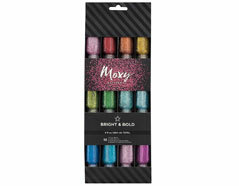 Set 12 botes de cola pupurina Moxy Glitter Glue Bright and Bold 22ml. total 264ml. 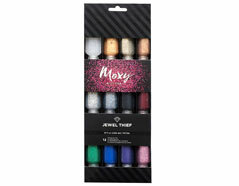 Set 12 botes de cola pupurina Moxy Glitter Glue Jewel Thief 22ml. 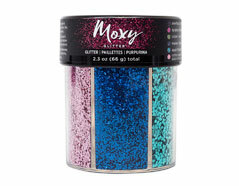 total 264ml.